As the leaves change color and the weather gets colder, things heat up on the dance floor. Two weekends ago, on Oct. 10 through12, the first annual Roc Kizomba and Zouk Festival took place. The festival consisted of dance parties on Friday and Saturday, and workshops on Saturday. Many famous artists specific to the featured dances attended. Sara Lopez, a kizomba star from Madrid, and Marc Brewer, a world-recognized kizomba and zouk master from Michigan, taught the kizomba workshops, while Henri, Claudia and the Elements Team from New Jersey taught the zouk workshops. Lasting from 10 a.m. to 5 p.m. with a one hour break for lunch, the workshops were an all-day affair. The first party on Friday night was from 9 p.m. to 2 a.m., and the Saturday night party began at 10 p.m. and ended when the dancers couldn’t dance any more. The dance parties were held at Boulder Coffee Co. on 960 Genesee St. and consisted of kizomba, zouk, bachata, salsa and merengue. Brazilian zouk is a couple dance derived from Lambada, Brazil, that is not well-known in the Rochester area. It is a fluid dance, as the partners follow circular movements and relate the movements to one another. Zouk is characterized by alta energia e alegria (high energy and joyful feeling) with head movement, hair whipping and a contemporary feel. Kizomba is a dance that originated in Angola, Africa, but made its first appearance in the United States in 2010 in China Harbor, Seattle. Kizomba music is distinguished by its sensual and slow romantic rhythm, and is generally sung in Portugese. The movements are slow and very smooth with influences of tango steps. However, a main difference between kizomba and tango is that in kizomba the lower body does forward, backward and circular movements. Kizomba can only be done properly if the both dancers have a strong partner connection. By nature, it is a sensual dance that may not be appealing to the public, which is probably why it was unheard of in the United States until four years ago. Now that the public has become more accepting, this type of dance has its time to shine. Kizomba is like a movement, a movement that made its way to Rochester in 2013 through dance instructor and founder of Roc Kizomba Company Elyse Inzinga, and has been growing ever since. It has even made its way to RIT, as Elyse Inzinga and Melissa Parkhurst, the Roc Kizomba dance instructors of the Rochester community, have made appearances as guest dance instructors for the RIT Latin Rhythm Dance Club. In Rochester, there are many Latin dance events: Salsa Night on the last Thursday of every month at lovin'up, Latin Vibe Saturdays at Boulder Coffee Co. every other week, occasional social dances sponsored by RIT Latin Rhythm Dance Club and the new addition of Latin Night every Friday at TC Riley’s. 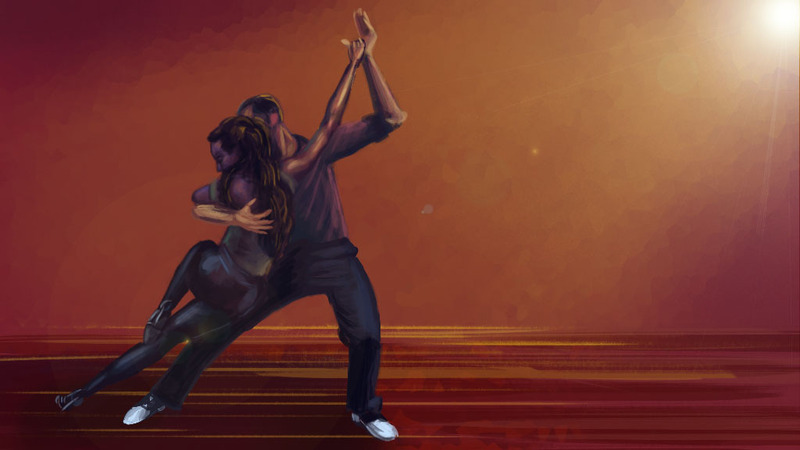 What made the Roc Kizomba and Zouk Festival unique, however, was that it included more than your typical salsa, bachata or merengue. It opened the eyes of many Latin dancers, as even veteran dancers had never before been exposed to kizomba and zouk. The festival was a great medium with which to introduce the Rochester community to different styles of dance, and hopefully there are more to come.